Constraining costs: At the height of the Cold War, NASA spent more than $110 billion in a decade to land twelve men on the surface of the Moon. That kind of outlay simply isn’t going to happen today. In order to enable a crewed Mars mission without seeking a dramatic expansion of the agency’s budget, NASA will need to reuse a lot of technology originally developed for things like the International Space Station (ISS). This will come with a side benefit: technology development can be extremely time-intensive and is frequently the source of program delays. The more repurposed technology used, the less likely the mission is to run over schedule. A 2033 launch: This seems plausible, but only if NASA maintains focus. Too frequently in the past, human spaceflight programs have faced constant redirection. Think of the transition from Constellation to the extended Shuttle program to the Space Launch System and continuing questions regarding the Asteroid Retrieval Mission. If NASA is going to undertake this mission, it will need to survive the transition between at least three (and as many as six!) presidential administrations. That’s no easy feat. Science from orbit: There is little doubt that orbiting Mars before attempting a landing would provide valuable experience. This is the exact path tread by the Apollo program to great success. But, what of the Society’s claim that such an orbiting mission would provide valuable science opportunities? That’s a little tougher to gauge. Until the full plan is released later this year, it’s tough to know what they have in mind. Certainly, it would be an invaluable opportunity to study the effects of long-duration spaceflight on humans outside of the protection of the Earth’s magnetic field. But, I’m skeptical of any claim about performing orbital Mars science. Just like with the Asteroid Retrieval Mission, it seems likely that any science could be accomplished at a far lower cost through robotic explorers. Raiding the ISS piggy bank: This is perhaps the most interesting piece of the plan. In the wake of Russia’s announcement that they intend to pull out of the ISS collaboration after 2024, the future of America’s presence in Low Earth Orbit has been in question. The Planetary Society provides one possible answer: by using the funds currently earmarked for maintaining the orbiting laboratory, NASA could execute a crewed trip to Mars without needing a budgetary increase above that which accounts for inflation. This is a big deal because NASA funding is projected to remain flat for the foreseeable future. Touching down before 2040: Regardless of the scientific case for orbital flights, the real scientific promise of human trip to Mars lies on the surface. Astronauts can cover far more ground and do so far more efficiently than their robotic counterparts, so getting people on the surface has to be the ultimate goal. Is 2040 too ambitious given a 2033 orbital launch? I’m not sure, but it’s certainly more realistic than claims made by SpaceX and Mars One. Support from the public: We can only hope. I think if it was clear that substantial, legitimate progress was being made towards the clear goal of getting humans to Mars by 2033, the public would tune in. But keeping attention on an 20+ year project is no mean feat. Smaller, intermediate goals, a la the Mercury and Gemini programs, will be vital. A broad coalition: NASA’s willingness to turn over ISS cargo and crew deliveries to private space companies bodes well for continuing these collaborations in the future. But allowing others to service their already-established outpost and joining with them on what will be the next great exploration project are two different things. Also remaining to be seen: will NASA (at the behest of the US Congress) continue to shun burgeoning space power China? Going to Mars will be tough. Why make it tougher than necessary? Final thoughts: This is an exciting proposal by an organization with a credible history. Moreover, the list of participants in the recent workshop is impressive. The information released today is just the tip of the iceberg, but it has already got me thinking about what the future might hold. One thought that I can’t get out of my mind, though: is an orbital mission an unnecessary risk? 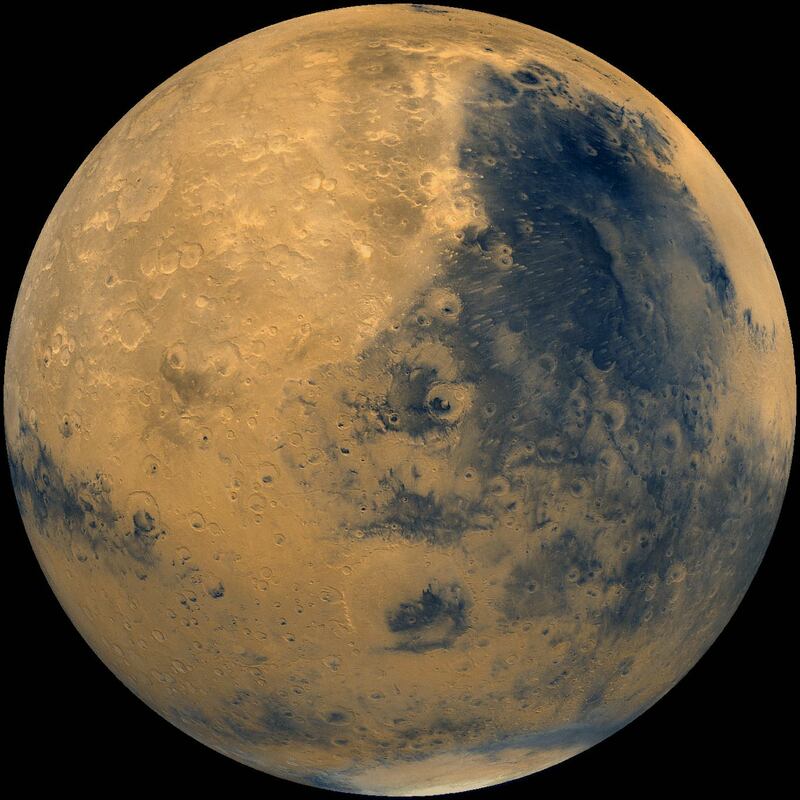 Trips to Mars are measured in months, not days, and would put astronauts at unprecedented risk. Would we be drawing out those risks with an orbital mission without really accomplishing a lot of scientific discovery? We’ll have to wait for more details to truly find out. Bring a modest telescope so they can watch the activities at SpaceX’s Mars base. Europe – never. The European part of the ISS is smaller than Japans. With few (but notable) exceptions, ESA either piggybacks on NASA missions (especially in human spaceflight) or copies what NASA does a few decades later. Also compared to the US, Europe’s space spending is small and it is very unlikely that this is going to change in the future. Russia, China and India haven’t even managed to send humans to the moon yet. Russia’s space program is struggling and will take a long time to recover. China’s space program is slow in its development, India’s even slower. In short – no human will be at Mars by 2040. In 1959 Sydney Jordan, the creator of the ‘Jeff Hawke’ comic strip, predicted that the first Moon landing would be on August 4th, 1969, almost exactly right. In 1984 he similarly predicted that the first human mission to Mars would be a landing on Phobos in 2033 – right again? Instead of going somewhere we don’t belong lets fix what we have here. 1. We belong wherever we want to go. Space is thus far a very big and empty place. 2. The solutions to most of the Earth’s problems are found in Space exploration/technology/colonization. Evolutionary dictate to a species is to seek new habitats, spread there while using resources at hand and than make best use of resources in the new habitat to further itself. Humans have thrived on that principle and when failing to follow it, suffered a great decline (Easter Island, if that culture took to exploratory voyages instead of sitting in place they would have spread to S.America and who knows how much further. As is, local resources forced a set of bad choices, limit usage of local resources and freedoms and decline or not and end in war, famine, destruction. Staying put is not a choice). The only long term prosperous human future is in space-expansion. Secondary to expansion itself are general benefits of new technologies and riches of new resources that come along helping both those who remained and those who went forth. That results in general prosperity which in turn reduces chances for conflict or tyrannical limits on liberties on Earth. If at all rational we should have already used our best resources for initial attempts to terraform Mars (crashing capsules with algae and similar Earth organisms that we know have a good chance of surviving and thriving there, producing changes for terraforming). Even minimal efforts now would pay greatly in centuries to come. Firstly just abandoning the ISS and having no alternate option after 2024 may free up the budget for Mars but we would then have no assets in orbit to continue research. Yes there could be commercial stations by then but guess what they won’t be free so a budget would be needed. Can we get valuable data from an orbital trip to Mars, absolutely however we can get most of the same data if not all from just doing long duration orbital trips to the Moon or one of the Lagrange points. The statement that this plan would have public support is a rather large assumption, while the members of the Planetary Society may be on-board (not all of them are as I am a member) they have not done a large enough study to gauge real interest. While we do already have some technology that could be used for the trip to Mars clearly we do not have all of it otherwise we would have launched already, we will need to develop a Habitat module that can sustain a crew for the whole trip, as it will only be an orbital mission first time they could be in there for several years without a re-supply option. We are going to need fast propulsion technology to reduce the travel time, NASA just awarded several companies who are working on this but the VASIMR system has been in development since 1977 and yet we have not seen a single test flight. I would love to see a manned trip to Mars before 2040, unfortunately I don’t believe this plan will see it happen, hopefully SpaceX or another nation will have a better plan soon, one that people can support. It is very depressing to hear that I’m likely not going to live long enough to see mankind become a multi-planetary species. call the editor – methins the last word of the first paragraph should be “tenets”, not “tenants”. call the editor – methinks the last word of the first paragraph should be “tenets”, not “tenants”. Constrain costs by limiting new technology development — what? Does this not shoot in the foot the number one reason trotted out to defend our space program? The side applications of space tech may not be the qualitatively best motivation, but “Because SCIENCE!” isn’t going to help much in getting folks to open their wallets. The ISS has no similarities with a spaceship. Although almost all of the systems on the ISS are monitored and managed from Earth in real time, the crews spend almost all of their working hours on maintenance. Its structure doesn’t allow for any boosting out from Earth orbit. It is way much heavier than any Mars spaceship would be. Its solar panels are insufficient at Mars. It has no shielding against out-of-LEO-radiation. It has no closed loop life support system and needs several supply launches from Earth every year. The ISS is not habitable outside of LEO. The ISS was an attempt to build a space station 3% of the Earth’ diameter above Earth’ surface. It became a huge disappointment. It cost much more and it took much longer and it delivers much less than expected. Extreme dependence on political relations is another severe flaw in the project design which could kill it any day now. The ISS was never an attempt to build a spaceship prototype. A Mars spaceship has to be designed from scratch, nothing similar has ever been done. I am always surprised why people want to go to Mars next, rather than the obvious choice of setting up a moon base as the next step. The moon is close and especially for astronomy a great base. One can put big telescopes there that do not have to observe the universe through an atmosphere. And the far side of the moon would be a great place for radio telescopes. Don’t worry, the Moon will come first. It can be done so much sooner, cheaper and safer than Mars. When the visions come down to action plans with real numbers, the Moon is the obvious first target. Fundamental problem in this article is focus on already outdated government-sponsored space exploration. That age have come and gone. Chinese, maybe Indians would have a short go at it in the form of government sponsored program but modern World is fast changing even for them. I can safely predict that no government program will ever land a human on any planet. Reason is that most modern and advanced nations today have governments who chewed too much and the retarded (intentionally) governments focus on stirring up a trouble as much as they can. Governments of near and quite far future will be overwhelmed by social system problems and conflicts. Maybe enough money to cover themselves for unmanned, simpler and simpler probes. Businesses and rich individuals on the other hand will be ones with resources and at first prestige and pride to get from space exploration, to be followed by a profit incentive. That is the long term space exploration, particularly human space exploration. Businesses will risk humans, not NASA, they gave up on that part of exploration long time ago. For businesses and pride, landing is important. I’d be surprised if first manned mission to Mars is not the one to land. Also, capable businesses already exist. Hence, I give the real estimate to a decade if not less. By 2025 humans on non-governmental, business driven mission will land or crash on Mars.